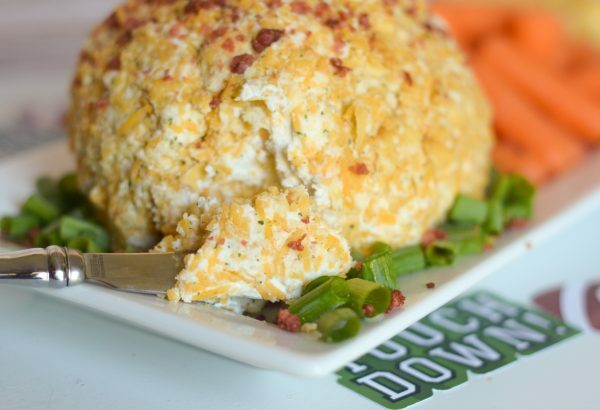 Get ready for game day with this Bacon Cheddar Cheese Ball. This post is brought to you in partnership with Save-A-Lot, all thoughts and opinions are my own. We are just a few days from the official start to fall, which means my favorite time of year is finally here! Each year, I patiently wait for this time of year, the sad thing is it tends to go by quickly, so I try to soak it all in. I love the crisp air, all things pumpkin, the colors, leaves changing, and of course everyone loves football too, right? It’s football season and many are having tailgate parties each week. 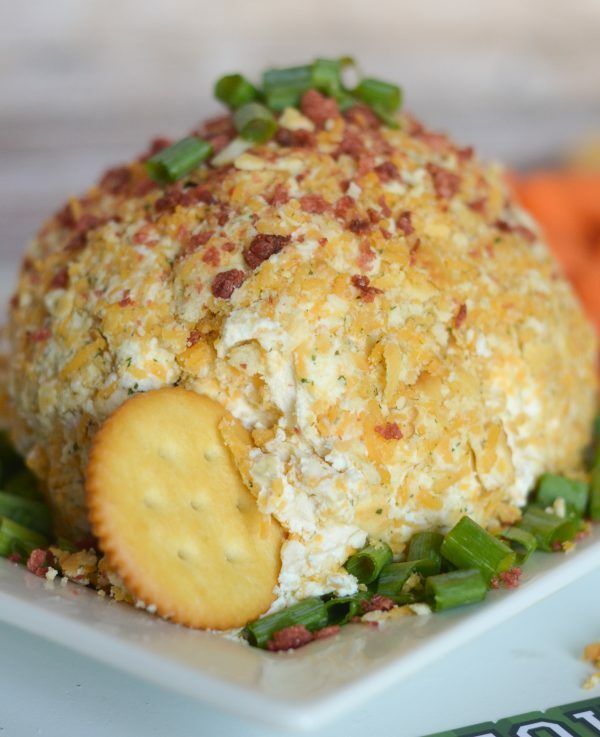 This Bacon Cheddar Cheese Ball is a great snack for a party! 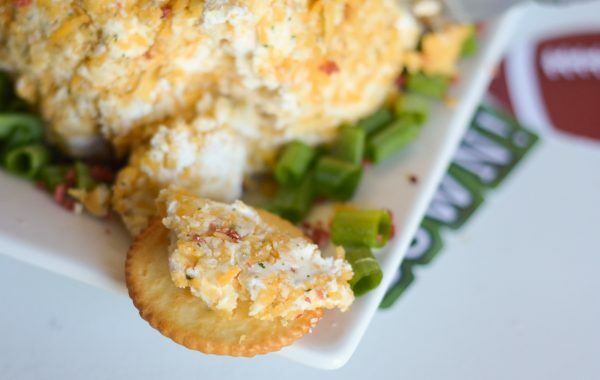 Who doesn’t love a cheese ball? 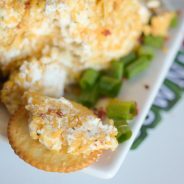 A cheese ball is a party staple, but it’s also best to make it as tasty as possible too, which is exactly what this Bacon Cheddar Cheese Ball is, it’s super tasty. We typically serve ours with additional crackers and veggies. We also enjoy it with pretzels too. The great thing is they are simple to make, plus when you shop at Save-A-Lot, you will get the most bang for your buck too. 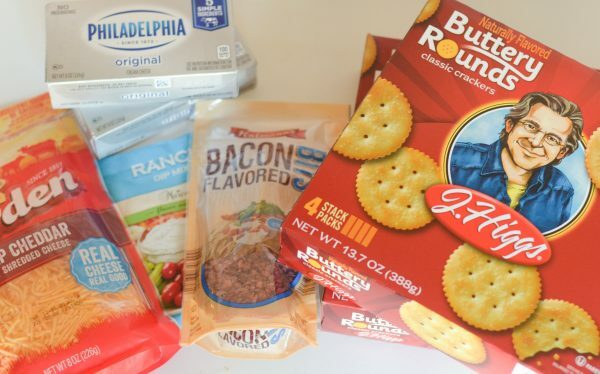 My husband loves going to Save-A-Lot, we head into the Tulsa location, which is more in town for us but he enjoys looking at all the different options they have there. It never ceases to amaze him at just how great of prices they have and the good food that goes with it. They offer up to 40% lower prices each day! Plus, they also have some great exclusive brands too. Be sure to check out their weekly ad and sign up for the Smart Shopper Email. For us, when we have a party our first thought of course after planning out guests list and activities is the price. 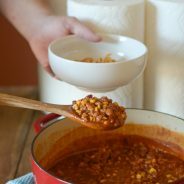 It’s not always low cost to host a party, but with shopping at Save-A-Lot, you can easily keep the price tag under control and make delicious food to serve to guest too. 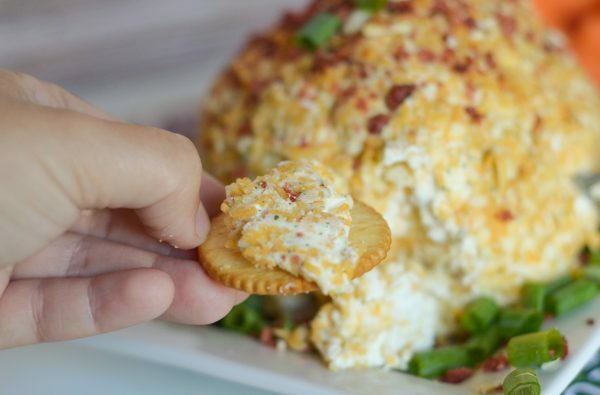 This Bacon Cheddar Cheese Ball is a great way to make a tailgate recipe for less. 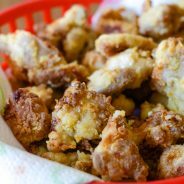 It only takes about 5-10 minutes to prepare and then it’s ready to serve. It’s also the perfect finger food too, with very little mess. Now are you rooting for a particular team? 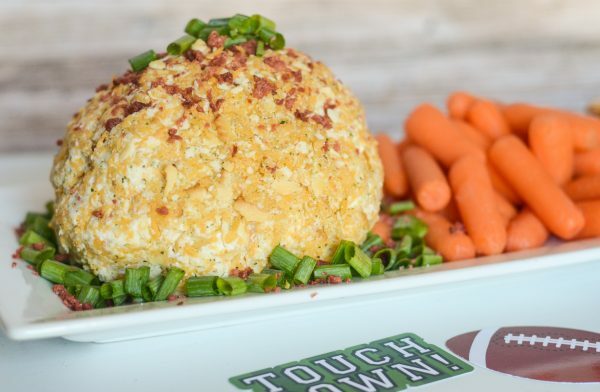 Be sure to add this Bacon Cheddar Cheese Ball to your game day menu! These Sausage Pepper Rolls also make for an additional recipe that is perfect for game day too. Now, let’s have a little giveaway! Be sure to enter to win one of two $25 giftcards to Save-A-Lot! 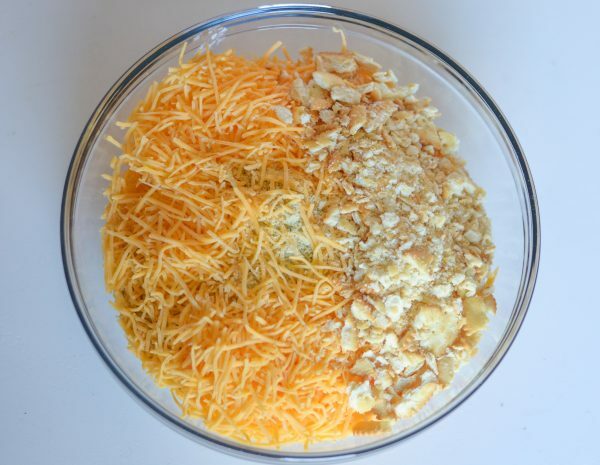 In a medium sized bowl, mix together the cream cheese, cheddar cheese, ranch packet, and the crackers. Add bacon and green onion to the cheese ball, press it in to stay. 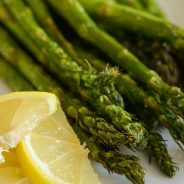 Serve with dipping products like veggies or crackers. I love hot dips for game day. It can be spinach and artichoke, crab, or shrimp. we love having grilled sausage, pepper and onions subs for game day.